The type of machine needle you use can affect your machine, your stitches, your fabric and your seams. There are all kinds of machine needles out there and sometimes it can get confusing. 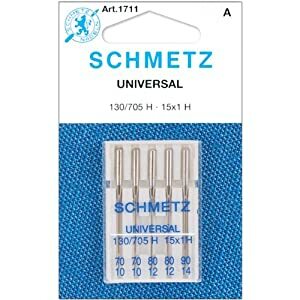 Really there are basically three types of machine needles for regular machine sewing, each type is often then changed slightly by the needle manufacturer to better suit certain fabric types. There are also a bunch of different sizes for each type of needle. The smaller the number on the box, 80/12, the smaller the needle. The larger the number on the box, 90/14, the larger the needle. 1. Sharp Needles meant to pierce through fabrics. These are good choices for tightly woven fabrics. Leather needles are a type of sharp needle. They pierce through the leather creating a clean hole and clear hole for the thread. 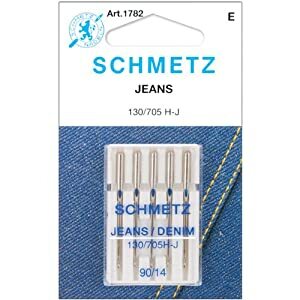 Jean needles are sharp and make sewing through the thickness of denim and other thick, tightly woven fabrics easier. 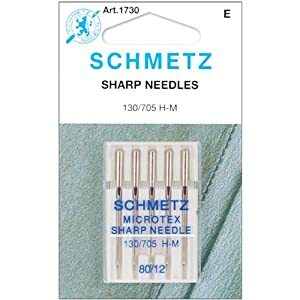 Topstitch needles are very sharp and meant for thicker fabrics as well as have the strength to go through multiple layers of tightly woven fabrics more easily. 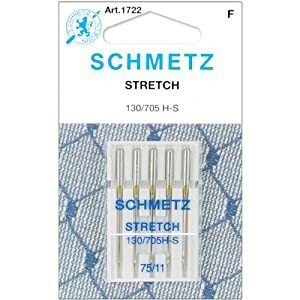 Using ball point needles on stretch fabrics will keep your stitches in between the knit fibers, allowing your stretchy fabric to keep it's stretch without breaking your stitches. 2. 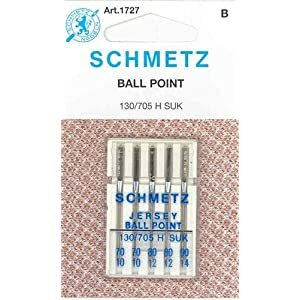 Ball Point Needles are meant to slip in between the loops of a fabric rather than piercing and damaging the knit threads....these are a good choice for looser knits and very stretchy fabrics. 3. Universal Needles are a combination of sharp and ball point needles. These are an easy and common choice for your everyday fabrics. 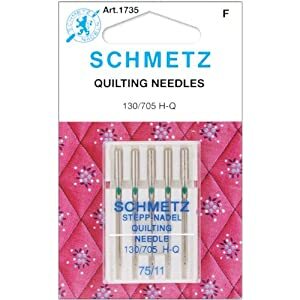 Quilting needles are a slightly more honed version of universal needle featuring a combination of a ball point and sharp point. They are meant for machine quilt piecing and quilting. The second thing you need to know is THREAD THICKNESS. Thinner the thread = smaller sized needle. Thicker the thread = larger sized needle. BUT....Other factors can affect needle size too. Lighter fabric = smaller sized needle. Heavier fabric = larger sized needle. Medium weight fabric = mid-sized needle. Here are some examples of how to choose a needle based on your project. Sometimes choosing the right needle just takes experience. 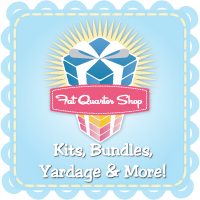 The more you sew, the easier it will become to pick out the right needle for your projects. This book, I have mentioned it before, is a great, great reference tool for helping to decide on a needle size too.